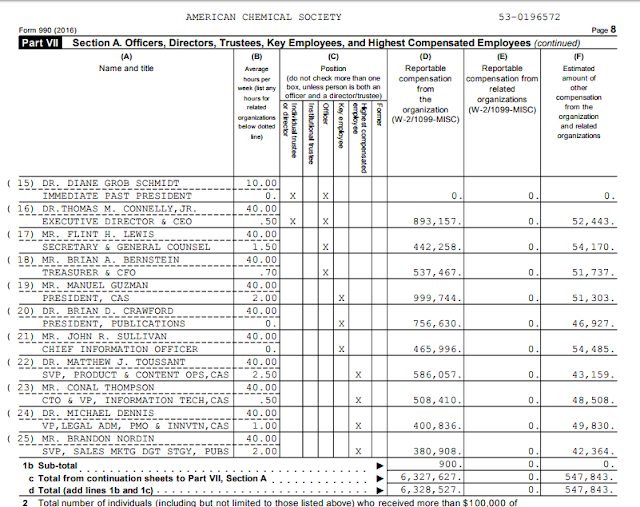 The Medicinal Chemist Jobs list has 102 positions. Over at Common Organic Chemistry, there's 14 new positions posted for December 19 and 19 new positions for December 14. The Process Chemistry Jobs List has 73 positions. The 2018 Chemistry Faculty Jobs List (curated by Andrew Spaeth and myself) has 481 positions. On December 22, 2016, the 2017 Chemistry Faculty Jobs List had 529 positions. The Academic Staff Jobs list has 32 positions. Wishing you and your family a very Merry Christmas and a happy 2018. Back on Tuesday. The 2018 Chemistry Faculty Jobs List (curated by Andrew Spaeth and myself) has 472 positions. On December 18, 2016, the 2017 Chemistry Faculty Jobs List had 527 positions. Increase transparency in chemical education and employment. ACS should continue to convey the benefits chemistry provides to our lives; however, we must also convey that there is no shortage of traditional chemists. 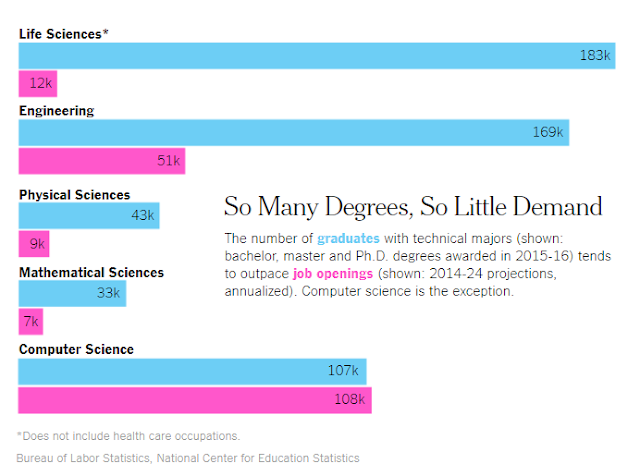 The following 2016–26 Bureau of Labor Statistics projections (data.bls.gov/projections/occupationProj) highlight shifting dynamics in chemical employment: biochemists and biophysicists: +11.3%, post-secondary chemistry teachers: +9.9%, chemists: +6.5%, chemical technicians: +3.9%, chemical engineers: +2.5%, chemical plant and system operators: –3.1%, and chemical equipment operators: –3.6%. (CJ's note: as a benchmark, all jobs are expected to increase at a rate of 7% for the next 10 years.) Meanwhile, ACS New Graduate Survey data show new graduate unemployment growing disproportionately faster than ACS member unemployment. Inflation-adjusted salaries for new graduates at all degree levels are flat or decreasing. These trends also hold for more experienced ACS members. Employment information about the wide range of chemistry careers should be provided to aid students in career decisions. Review and revise higher education programs to prepare students for the changing employment options of chemists and chemical professionals. The educational system provides outstanding researchers, but the demand for them is far below the supply. For each faculty opening, dozens to hundreds of chemists apply. Some applicants hold two to three postdoctoral positions, broadening their experiences while seeking an academic appointment. Current chemistry degree course requirements are misaligned with employer expectations of graduates’ skills. Employers seek individuals who have practical work experience and are technologically savvy and have foundational skills such as adaptability, problem-solving ability, and leadership skills. Yet many college graduates entering the labor pool aren’t equipped with these essential skills. Graduates need educational programs to supply and strengthen these skills. Social, cultural, and professional training, applied courses, and internships can improve postgraduate employability. ACS-approved degree programs should be evaluated for their use in producing employable chemists. Cross-functional training, which bridges new and traditional fields of chemistry, should be evaluated for its impact on student employment prospects. I'm a bit bemused at basically making a 'soft skills' argument about chemistry graduates - does anyone really think that the reason that chemistry B.S. holders aren't being hired is that they don't have enough adaptability? I would point the finger straight at the overall lack of entry-level bachelor's oriented positions. I do commend the Task Force (and Comment) for suggesting that "ACS-approved degree programs should be evaluated for their use in producing employable chemists." I'd like to hear more about this. 1. In 2018, will we have the same statistical tools or better statistical tools for quantitatively determining the quality of the United States chemistry job market than we did in 2008? Readers, what are your questions? "Chemistry preprint servers took off"
If there is anyone more detailed than birders, it might be chemists? Looks like the tuition waiver is dead? The final bill adds back many of the prized tax breaks that were stripped by the House legislation, including allowing taxpayers to continue to deduct high out-of-pocket medical expenses and the interest paid on student loans. It will also continue allowing graduate students who receive tuition waivers to avoid paying taxes on that benefit. Good news for graduate students. You simply have to accept that layoffs and site closures are part of this career. No matter what assurances you get to the contrary, you can rely on unplanned vacations in your future. “Ah,” you may think, “but I have especial talent, our division was picked as a center of excellence, and I have chart-topping reviews for the past few years.” Do not be a fool. That is not the way this business works, and cutting research remains an easy target for making a company more profitable, at least in the short term. 1) Save money. These jobs tend to pay well while they last, but you need to live well below your means and accumulate. This may be the single most important thing. 2) Publish and network. Some places discourage publication, but it is really critical in this era that scientists get their work out there and get a reputation that extends beyond their employer. Talk at conventions. Keep in touch with old colleagues. 3) Find a sense of self-worth outside of your job. Perhaps this is family, volunteer work, or even hobbies. Many scientists find themselves with a soul-crushing sense of inadequacy when laid off, having devoted so much of their lives to the pursuit of a particular profession. I have observed many colleagues who suffer symptoms of PTSD even years after getting laid off and years into a new position. Finally, for those of you “lucky” enough to avoid the axe when it swings, stay in touch with people who were let go. It is not uncommon for laid off people to feel like pariahs among those still employed. “Blame the victim” is a survival strategy for companies who lay off staff, and the remaining staff can often be found to adopt the same strategy at a personal level. Do not let a company corrupt you in this way. I think this is a great comment, and one worth acting on, especially Chrispy's last point. Every Marine has experienced being saddled with an impossible task by a superior. But this task was legitimately the most bizarre of my Marine career. Using random objects gathered up in the COC, I was expected to fix a coffee maker that was most likely issued back in the first Gulf War. And there was no doubt in my mind that both the LT and the platoon sergeant fully expected a hot, steaming cup of coffee in eight hours when their shift started. So, like any good Marine, I improvised. Using the switchblade knife, I bribed my way onto a supply convoy to Camp Ramadi. From there, I traded a can of Copenhagen Straight chewing tobacco, a rare commodity in Iraq, with a civilian contractor for a ride over to the Army side of the base. For roughly two hours, I wandered around aimlessly, peering through windows looking for a coffee machine. After a great deal of effort, I finally spotted a pristine Mr. Coffee in the backroom of the Army supply shop. Sneaking through the window, I quickly exchanged our decrepit coffee machine with the Army’s, while shoving as many coffee filters in my cargo pockets as they could handle. And like a bandit, I ran for my life. Now, imagine a young Marine, cargo pockets bursting at the seams, coffee machine cradled in his arms, frantically running off into the distance. By the time LT was back on duty, my squad was preparing for our daily patrol into the city. The “fixed” Mr. Coffee was humming away in the COC. All was right in the world, proving true the old Marine Corps adage: Gear adrift is a gift. From the inbox, a request for an open thread on new PI startups, etc. I hereby announce this open thread. Enjoy. 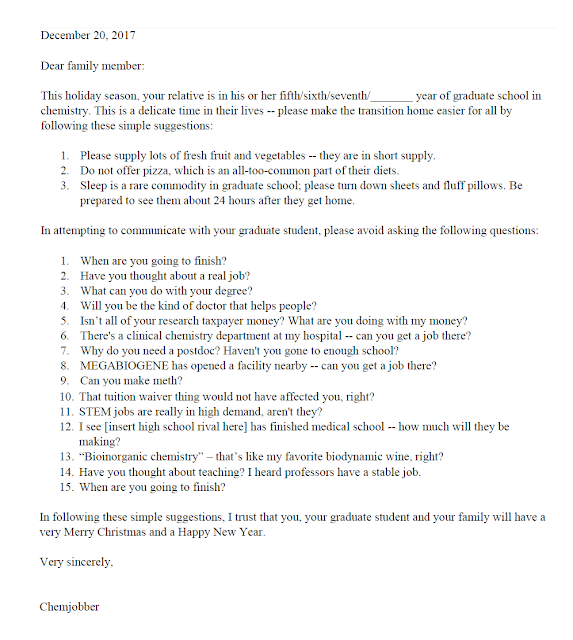 From 2013, a good thread at ChemBark from 2013 talking about new laboratory setup, deals and pitfalls. A C&EN survey by Lisa Jarvis, talking about startup package size. Also, the private C&EN Facebook group about for new chemistry professors. Also, the 2016 open thread here about this subject. The 2018 Chemistry Faculty Jobs List (curated by Andrew Spaeth and myself) has 465 positions. On December 11, 2016, the 2017 Chemistry Faculty Jobs List had 516 positions. What are people doing for research summaries these days? Been a while since I wrote one. Are people still doing the "JACS communication"-style research summaries, or have those gone the way of flip phones and parachute pants? 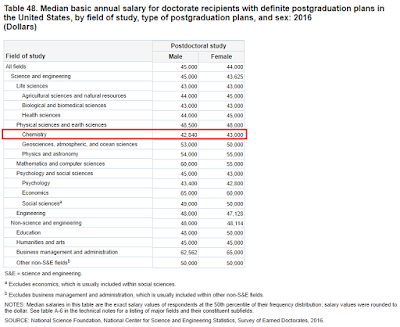 Always little gems tucked away in the Survey of Earned Doctorates, and I am ecstatic to discover for the first time that it tracks median starting postdoctoral salaries for chemistry Ph.D.s, which are around $43,000. It will be interesting to see if this changes up with the advent of the (discarded by the Trump Department of Labor, still kept by many universities) NIH minimum/post-FLSA overtime threshold of $47,476. 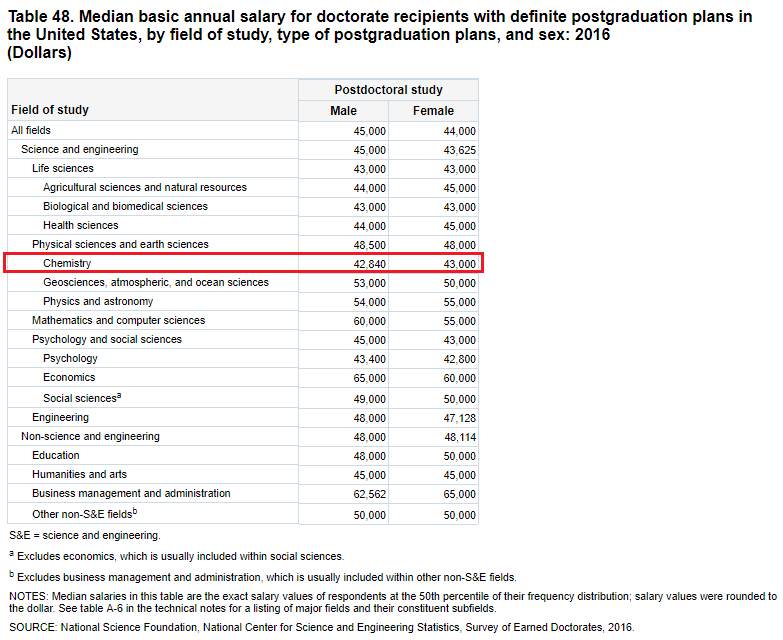 But still, now we know - the most common definite outcome of a chemistry Ph.D. (according to the data that we have) is a postdoctoral position, and the median salary for that position is $43,000. This interview that Derek did with Donald Batesky is truly wonderful. The latest from "All Things Metathesis"
The 2016 Survey of Earned Doctorates is out. Here's the data on graduates in the 2016 academic year and their post-graduation plans. I've taken a screenshot, here's the data in PDF and Excel format. A quick look indicates that the percentage of respondents who have definite employment plans has risen 4% from 2015, the percentage of respondents who have no definite plans has decreased by a similar percentage. 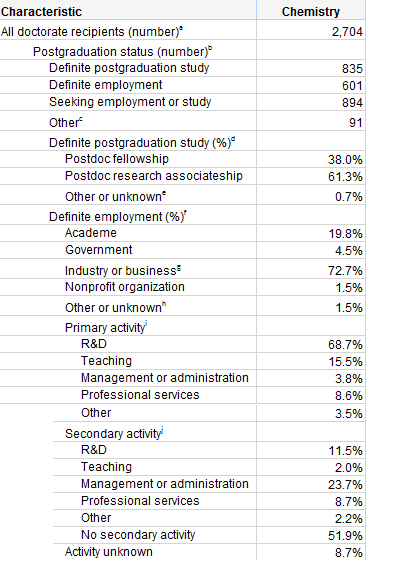 (Do note that the number of chemistry Ph.D.s who have gone to non-profit positions is quite low (1.5% of those with definite employment plans). Over at Common Organic Chemistry, there's 8 new positions posted for December 5. The Process Chemistry Jobs List has 61 positions. Meanwhile, Urschel was also periodically checking in with [CJ's note: MIT mathematics professor Michel] Goemans about the assignments for his reading credits. But “I’m, like, in season, so I’m busy,” Urschel says. “Michel was like, ‘Send me updates, let me know how it’s going.’ I’m really just skimming things. I’m completely blowing off this other stuff.” And the reading that Urschel was “blowing off” covered topics that would be included on his doctoral qualifying exam, which was coming up in February. If Urschel failed that test and didn’t subsequently pass in a certain period of time, he’d be kicked out of MIT. “Basically I’d be screwed,” he says. After the Ravens’ finished that 2015 season 5-11, well out of the playoffs, Urschel spent all of January cramming for the qualifying exam. He’d work at the chalkboard in his house for 12 hours a day, reviewing the material, making stacks of notes. Then he’d have Louisa Thomas, his soon-to-be fiancée, quiz him into the night. When the test day finally arrived, Urschel was “nervous like I’ve never been before a football game,” he says. It was an oral exam, so he had to stand in front of three professors who peppered him with questions for three hours. But leaving MIT was still hard. The first time Urschel left for OTAs, he asked an MIT friend to periodically rearrange the things on his desk, to make it look as if he were still there. If anyone asks, just say vaguely that I’m around. John, don't let grad student secrets out! The 2018 Chemistry Faculty Jobs List (curated by Andrew Spaeth and myself) has 456 positions. On December 4, 2016, the 2017 Chemistry Faculty Jobs List had 508 positions. My watch began in 2007 just when the financial markets were on the verge of collapse and the Great Recession was about to commence. Working closely with ACS management, the board of directors had to take immediate action guided by the ACS finance department. Those were difficult days that required hard choices such as freezing the defined contribution retirement plan, capping the society’s financial contributions to the retiree medical plan, calling for a hiring freeze along with a workforce reduction, and eliminating open requisitions for new hires. Without these difficult steps, the society would have become technically insolvent in 2008 to 2009. As employment in the chemical industry began to track the downward spiral in the general economy, we ramped up the many services for unemployed chemists and established an entrepreneurial initiative to help members interested in chemically based start-ups. Fortunately, those challenging years are largely behind us, allowing for a laser focus on all the wonderful programs that ACS offers. It's not clear to me that 1) services for unemployed chemists were significantly ramped up, or that spending on these services was dramatically increased and 2) that these challenging years are largely behind us. Naturally, people are going to point to the lower ACS Salary Survey unemployment rates, and I am going to point back to the fact that the median ACS member salary has stagnated when measured against inflation. 'Twas ever thus, including senior ACS volunteer leadership patting themselves on the back for unclear outcomes and NOT preparing the Society's domestic members for the next recession. *It is AMAZING to me that the only nod to enabling member careers is about entrepreneurship in Chair Confalone's 21 Board accomplishments and responsibilities. If the answer from the American Chemical Society's Board to "help me with my career in chemistry" is "make your own job", then what's the point of the ACS? The 51-to-49 Senate vote sets up negotiations with House leaders over substantial differences between the two bills. Most in higher education view that House bill as substantially more harmful for students and colleges than the Senate bill, but that doesn't mean they don't have major concerns over the Senate legislation. UPDATE: Derek Lowe has some good advice on calling your elected representatives. Congress will now work to reconcile the different versions of the House and Senate tax bill. Click here to see their whole message. From Moses Moustakim: "A bright winter Saturday morning on the Old Road Campus/SGC, University of Oxford." At Asilomar Bio, we’re working to improve agriculture by tackling some of the biggest challenges that farmers encounter. We are a life science company developing chemical and biological products to improve crop harvest yields and resource efficiency. We believe that using chemistry to reprogram plant physiology (including water use, nutrient use, photosynthesis, and development) will enable a ‘step change’ in agricultural productivity and sustainability. Asilomar Bio is seeking a motivated Synthetic Chemist to join the company’s chemical discovery and development team. The primary responsibility of this role will be the design and synthesis of novel small molecule active ingredients that meet Asilomar’s technical and strategic goals. The successful candidate will join a dynamic and multidisciplinary team working from the molecular level to the field scale. The position will be based in the San Francisco Bay Area and report to the Director of Chemistry. Looks to be entry-level-ish. Full details here. Best wishes to those interested. The Medicinal Chemist Jobs list has 77 positions. Over at Common Organic Chemistry, there's 29 new positions posted for November 21 and November 29. The Process Chemistry Jobs List has 56 positions. Science and technology are increasingly important in public policy. From environmental sustainability to homeland security, policy-makers routinely make decisions that require input from and have impact on the chemical community. Yet only five percent of the members of Congress have backgrounds in science and engineering, and scientists often lack the opportunity and expertise to successfully engage in the policy process. The ACS Congressional and Science Policy Fellowship Programs are designed to address both these concerns. The programs provide a unique opportunity for ACS members to gain practical experience and insights into public policy by working on Capitol Hill or at ACS in Washington, DC. Significant familiarity with the chemical sciences or engineering disciplines (e.g., a doctorate or a master’s degree and equivalent experience). All degree requirements must be completed before the fellowship start date. Application information here. Deadline is January 15, 2018. Best wishes to those interested. The 2018 Chemistry Faculty Jobs List (curated by Andrew Spaeth and myself) has 446 positions. The Laboratory of Inorganic Chemistry (LAC) (www.lac.ethz.ch) of the Department of Chemistry and Applied Biosciences (www.chab.ethz.ch) at ETH Zurich invites applications for the above-mentioned position. The research activities at the LAC encompass synthesis of inorganic compounds on the molecular and nanometre scale and characterisation of complex reaction systems with atomic and molecular level precision. The new assistant professor is expected to develop an outstanding research programme in the broad area of molecular inorganic chemistry. Research activities at the interface to other disciplines such as physics, materials, or biological sciences will be considered as an important asset. Collaboration with theoretical and experimental groups at ETH Zurich is encouraged, and teaching in the areas of Inorganic Chemistry and Organometallic Chemistry is expected at both the undergraduate and graduate level. Application deadline is January 4. Details here. Best wishes to those interested. Marcus said the teacher told her class it was a mistake with the alcohol he was using in the experiment. “I think that while he was pouring the alcohol in, the fire caught onto the bottle by accident," she said. that has caused injuries and teachers getting fired and lawsuits being filed in this country time and time again. *The indication that it was a Rainbow-related is this comment in the New York Times story: "One of the injured students, Elizebeth Diaz, 15, said the chemistry teacher was conducting an experiment to demonstrate how an atom goes from ground state to excited state." ...Last year, Nature surveyed 1,576 scientists from all disciplines. Overall, 52% perceived a “significant reproducibility crisis,” and another 38% said there was a “slight crisis.” Another 7% said they didn’t know, and only 3% said there was no crisis. In the case of biomedicine, I find multiple layers of causes, all of which exist to one extent or another in other fields. First is that scientists put too much faith in the ingredients they use. Some 500,000 antibodies are commercially available for experiments, but the quality of those reagents is all over the map, and labs often don’t run enough controls to identify problems. Immortal cell lines are another example, with cross-contamination a major problem. Scientists are paying less attention to more garden-variety reagents, but those are also problematic. That warning would obviously extend beyond the world of biomedicine. Another huge area of trouble in biomedicine and psychology involves experimental design and statistical analysis. Chemists may have more predictable systems and more reproducible experimental designs, but to the extent they are trapped in the dubious analytical system built around the P value, chemists should be greatly concerned as well. This system is so often misused in science, the American Statistical Association felt compelled to publish a paper in 2016 decrying the shoddy understanding of P values. My takeaway is pretty bog-standard scientific judgment: you shouldn't believe new results in any field (especially biomedicine) without there being sufficient reproduction from other groups. Also, it would be great if science (chemists!) came up with better, faster, cheaper means of analyzing biomedical reagents (antibodies and such) and verifying identity and purity. It's a really fun book, by the way. Very enjoyable. Some definite shots fired in the letters to the editor. 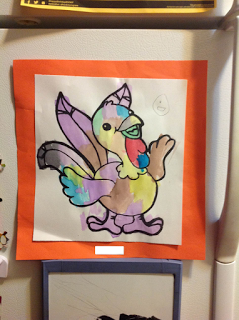 As always, I am incredibly thankful for my family, my friends, my community (physical and online) and my job. My family and I wish you a very happy Thanksgiving with plenty of food, family and laughter and if you're not in the United States, a happy Thursday and Friday! 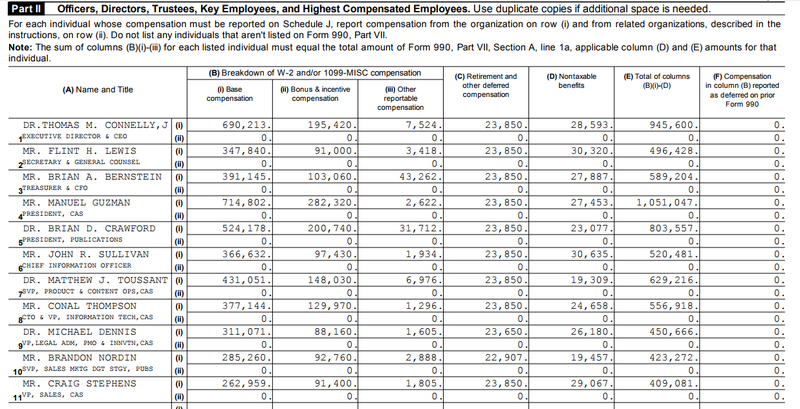 For comparison's sake, Madeleine Jacobs was paid $888,199 in reportable compensation in 2015. 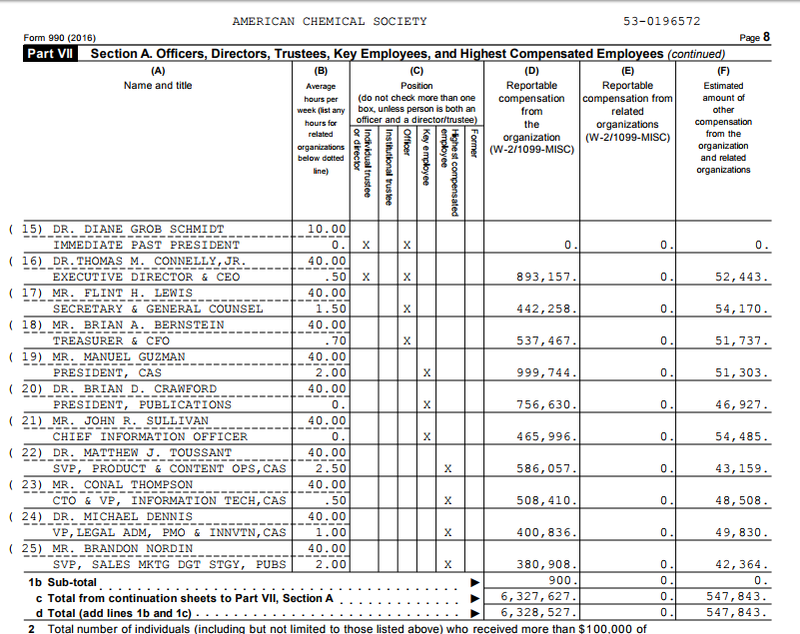 This was the first full year that current ACS CEO Thomas Connelly has had his compensation reported. He was paid $893,157 in 2016. Nice work if you can get it. 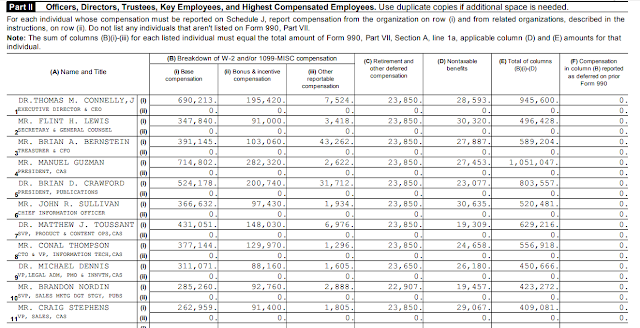 Looks like reportable compensation for the highest-paid ACS officers trended down between 2015 and 2016. The 2018 Chemistry Faculty Jobs List (curated by Andrew Spaeth and myself) has 441 positions. On November 18, 2016, the 2017 Chemistry Faculty Jobs List had 482 positions. After an arduous, demoralizing, post-Great Recession period of unemployment, underemployment, and job hunting, I wanted to share some happy, hopeful news: I recently landed a new job that I am excited about. It’s more than just a new job, really...this is a return to R&D and a major boost in career trajectory, quality of life, and overall work satisfaction, not to mention pay, all bundled into the culmination of a very difficult decade. The way this happened was unexpected and surprising to me. I have, until now, assumed that if you didn’t follow a particular prescribed path (find a job posting, apply for the job, get a phone interview, get a site interview, receive an offer) to getting hired, then you were either gaming the system or cheating. That must have been incredibly naïve of me. I veered from that sequence during my home stretch, achieving my desired outcome, but getting what I ultimately wanted didn’t feel like manipulation or cheating at all; it was hard work and it made sense to me. You are welcome to tell me if you disagree. It won’t subdue my elation. I am a former synthetic chemist. In the mid-2000s, I was truly thrilled to be doing medicinal chemistry. I enjoyed bench work, the companionship of fellow chemists, and the fact that I was doing what I wanted to do and had been educated to do…but in 2008 my position (like many folks’) vanished, and I ended up briefly unemployed before taking a string of less-than-interesting positions. 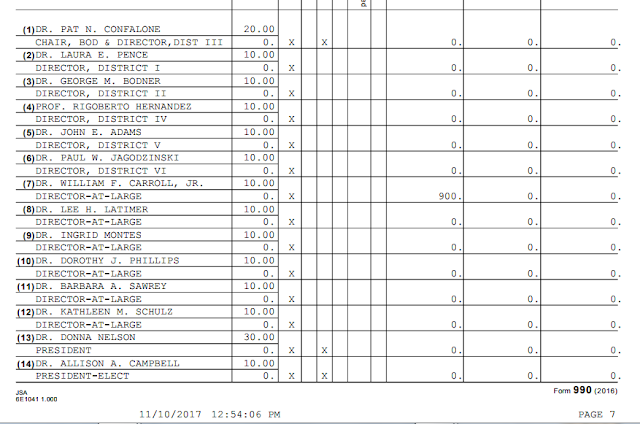 These jobs were only tangentially related to my love of chemistry and they paid much less. I hesitate to use the term drudgery, but…let’s put it this way: perpetually looking forward to the end of the day and the end of the work week can be a pretty miserable way to live a life. 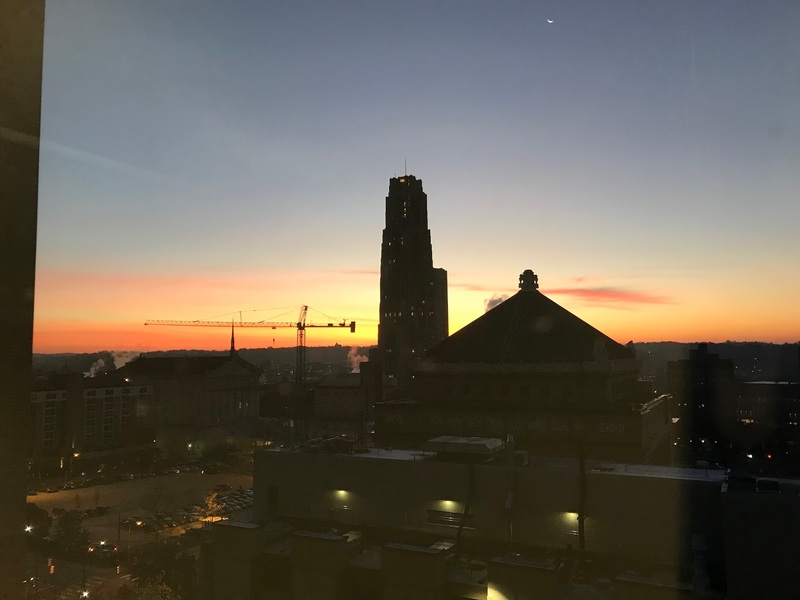 From reader John Milligan: "The sun rises behind the Cathedral of Learning on a November morning at the University of Pittsburgh." I always hold the temp agencies at bit at arm's length, but your mileage may vary. Also, I really commend the concerns around depression and having a group of friends that you can talk about your job loss with. The Medicinal Chemist Jobs list has 139 positions. Over at Common Organic Chemistry, there's 19 new positions posted for November 9 and November 15. The Process Chemistry Jobs List has 52 positions. There was a person in the land of grad school, whose name was Job; and that person was perfect and upright, and one that feared God, and eschewed evil and had written 4 of 5 chapters. Job's substance also was two peer-reviewed journal articles; so that this man was the greatest of all the men of the east. Now there was a day when the sons of God came to present themselves before the Lord, and Satan came also among them. And the Lord said unto Satan, Whence comest thou? Then Satan answered the Lord, and said, From the search committee. And the Lord said unto Satan, Hast thou considered my servant Job, that there is none like him in the earth, a published and an upright man? Then Satan answered the Lord, and said, Hath Job submitted an application? If so, he will come to curse thee to thy face. And there came an automated email unto Job, and said, The oxen were plowing, and the asses feeding beside them: so send a writing sample, a teaching statement, a cover letter, and a dossier of recommendation immediately. While he was yet speaking, there came also another, and said, your funding is running out and and I only am escaped alone to tell thee. While he was yet speaking, there came also another, and said, There is only one position in your field, so good luck with that. Then Job arose, and rent his mantle, and shaved his head, and fell down upon the ground, and tweeted. And said, unpublished came I out of my mother's womb, and unemployed shall I return thither: the Lord gave, and the Lord hath taken away; blessed be the name of the Lord. And Satan answered the Lord, and said, The committee hath not completed its deliberations. So went Satan forth from the presence of the Lord, and smote Job with delaying. And he took him a group office to comfort himself withal; and he sat down among the ashes. Now when Job's three friends heard of all this evil that was come upon him, they were secretly hoping that they could get the interview with Satan instead. Let the day of my first seminar be remembered in darkness; let not God regard it from above, neither let the light shine upon it. For now should I have lain still and been quiet, or just played video games, or gone to law school. I have seen the foolish taking root and earning tenure: but suddenly I cursed his habitation. What is my strength, that I should hope? What is my methodological innovation that I should hope to be noticed? Is there iniquity in my chapter? cannot my heuristic discern perverse things? Doth God pervert judgment? or doth His rec letter misrepresent my defense date? Remember, I beseech thee, that thou hast made me rewrite chapter 3 and change annotation style; and wilt thou bring me into dust again? Canst thou while searching call out God? hast thou edited thy materials as I said? But the dossiers of the wicked shall fail, and they shall not escape, and their hope shall be as the giving up of the ghost. I am as one mocked of his neighbour, who calleth upon God, and he answereth him: the just upright man is laughed to scorn. The tabernacles of unpublishing full professors prosper, and they that provoke God are secure; into whose hand God bringeth abundantly. ye are forgers of lies, ye are all theoreticians of no value. And where is now my hope? as for my writing sample, who shall see it? Gird up thy loins in a newly purchased and not too ostentatious suit; I will demand of thee, and declare thou unto me. Canst thou describe 3 years of hard thinking in 5 minutes of high-stakes interview? Canst thou draw out leviathan with an hook? I shall give thee an interview, though it shall cost all thou hast left to attend it. Wherefore I abhor myself, and repent in dust and ashes. But I say unto you "my dissertation intervenes in.."
After this lived Job an hundred and forty years, and saw his sons, and his sons' sons, even four generations. And surprisingly few daughters. Especially at the rank of full Professor. Thank you to Curtis and Joseph for their permission. The 2018 Chemistry Faculty Jobs List (curated by Andrew Spaeth and myself) has 429 positions. On November 11, 2016, the 2017 Chemistry Faculty Jobs List had 470 positions. The Academic Staff Jobs list has 37 positions. A woman who graduated with an M.S. in chemistry from a western university around the time of the recession recalls the difficulty of finding work as a new graduate. The woman, who did not want to be identified by name so that her job prospects would not be affected, was unemployed for two-and-a-half years, she says, and heartbroken at being unable to find work in a field she was passionate about. But she had to pay the bills, including student loans, so she worked at a hotel chain before deciding to return to school for a nursing degree. Now that the woman has graduated and obtained her nursing license in two states, she has the luxury of choosing among four job offers. Some chemists question whether they should encourage young people to go into the sciences when their journeys have been so difficult. “It’s kind of hard to encourage kids I know who want to go into science, which is terrible because it’s a great field, and we need scientists,” [CJ's note: former Pfizer chemist Pamela] Case says. “But when they ask for my experience, I have to be honest.” Many chemists like Case were forced to leave the bench. If I were laid off and could not find a job in my field, I would imagine it would be hard-pressed to recommend it to others. That's got to be a tough thing to mention during a career day session. “Why I Love Being Married to a Chemist” by Barbara Crooker from her book Les Fauves. © C & R Press, 2017. Reprinted with her permission. ...But the Senate proposal appears to largely leave untouched many education tax credits and tax exemptions eliminated in the House GOP tax bill. This is a positive development, but it's not over until the package is all done, I suspect. The Medicinal Chemist Jobs list has 140 positions. Over at Common Organic Chemistry, there's 15 new positions posted for November 3 and November 5. Forty years ago, George Miller and Vince Guinn were scientists conducting research in a small basement at UC Irvine, when a stranger walked in, a briefcase handcuffed to his wrist. The basement was filled with a small nuclear reactor, a machine that Miller and Guinn used to conduct the atomic analysis of, among other things, heavy metals. The briefcase was filled with fragments of the world’s most controversial bullet. The bullet fragments were so tiny that they were “little more than dust,” recalls Miller, now 80. But, tiny as they were, the fragments were clues in one of the biggest mysteries in American history — the assassination of President John F. Kennedy. Would they use the school’s reactor and their scientific skills to answer the question that still loomed over the Kennedy assassination — did Lee Harvey Oswald act alone? Bob Hicks was spending a cold December night in his barracks 53 years ago at Ellsworth Air Force Base near Rapid City when the phone rang. It was the chief of his missile maintenance team, who dispatched Hicks to an incident at an underground silo. Hicks eventually learned that a screwdriver used by another airman caused a short circuit that resulted in an explosion. The blast popped off the missile’s cone — the part containing the thermonuclear warhead — and sent it on a 75-foot fall to the bottom of the 80-foot-deep silo. Hicks said there was a particularly high-ranking officer at the scene who’d been flown in by helicopter. After Hicks had rendered the missile safe, Hicks came back to the surface and heard the officer asking some other men how to retrieve the warhead. Hicks heard no response, so he piped up. Cargo nets were sometimes used to move heavy equipment in and out of the silo, he said. He suggested that a net could be lowered to the bottom of the silo, and the cone with its warhead could be rolled into the net. The net could then be hoisted up on a cable by a crane. The officer did not appreciate the boldness of Hicks, whose rank was airman second class. “He said, ‘Airman, when I want an opinion from you, I’ll ask you,’” Hicks recalled. Hicks retreated to his truck and awaited further orders. Later, Hicks said, he was recalled to the officer’s side and asked to explain the idea again. Two biotech giants — Amgen and Genentech — are laying off a combined 330 people at California facilities, both citing “organizational changes” as the primary reason for the cuts. Best wishes to those affected. The 2018 Chemistry Faculty Jobs List (curated by Andrew Spaeth and myself) has 413 positions. On November 6, 2016, the 2017 Chemistry Faculty Jobs List had 454 positions. The Academic Staff Jobs list has 36 positions. Via the New York Times, a pretty nice comparison of degree production and potential job openings. Long-time readers of the blog will be familiar with the data - here's the Census Bureau's great visualization of it.